Today marks Father’s Day in Italy, which coincides with Saint Joseph’s Day, an occasion held in such high esteem in the Belpaese, that it was officially recognised as a national public holiday until 1977. While we’ve previously spoken about how Italians celebrate their fathers on this special day, not many are aware of an annual tradition which takes place at the same time. 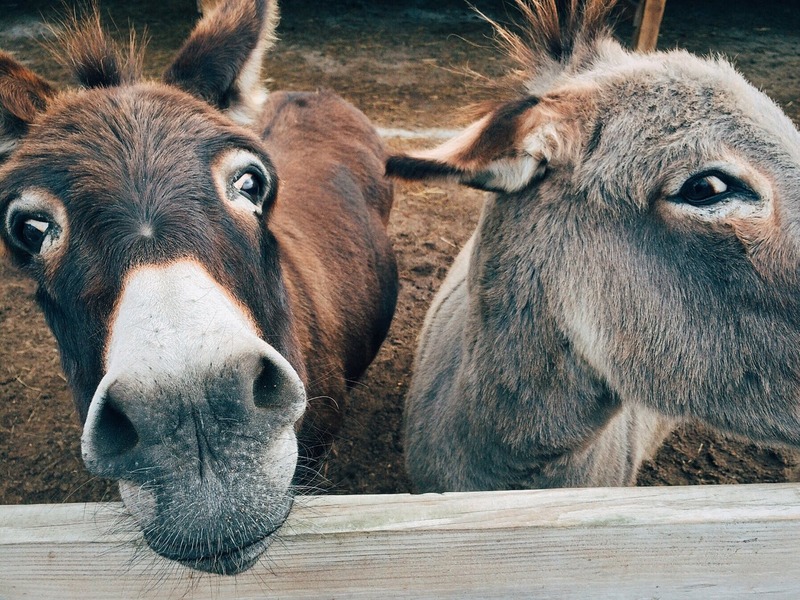 Every year, the medieval Tuscan village of Torrita di Siena holds a donkey race between neighbourhoods on the Sunday after Saint Joseph’s Day (or on March 19, should it fall on a Sunday). Known as the Palio dei Somari, the peculiar race was established in 1966, in celebration of Saint Joseph, and draws crowds every year. The village’s eight historic neighbourhoods (known as contrade) battle it out for first place. At the beginning of March, each district proudly displays its flags throughout the streets. Each contrada is represented by a donkey chosen at random by a commission with support from veterinarians and under supervision of the event’s organising body. Jockeys can only hope they get one with a good temperament that will get them over the line. The donkeys are fully respected in the game proceedings: article 14 of the regulation punishes any incorrect or violent conduct by disqualifying offenders for one or two years. After four rounds, the competition ends and the year’s banner is awarded to the winning district, whose residents then proudly display it in their headquarters. The event is preceded by a banquet and a historic procession led by drummers and flag throwers and featuring around 700 people in 17th-century attire. The district with the finest costumes is awarded a prize, known as the sfoggiato, which roughly translates as “braggart”. Last year, Porta Gavina won the race... Will it take back-to-back titles or will it be another district’s time to revel in victory? Laura Egan is Online Editorial Coordinator at Il Globo and La Fiamma, specialising in stories of cultural significance to the Italian community in Australia. This year, for the first time, the 70th anniversary of the Air Force Association and the anniversary of the National Union of Italian Non-Commissioned Officers on Leave (UNSICo) were celebrated together. Next Wednesday, Salon Art Gallery in Reservoir will celebrate the renaissance of the northern suburb with the opening of Barry Dickins’ new collection of masterpieces. Swedish teen activist Greta Thunberg slammed Italian authorities on Friday at a demonstration in Rome’s Piazza del Popolo, saying young climate change activists were not there for politicians to take selfies with. The mayor of a Tuscan town has banned the cultivation of broad beans within a 300-metre radius surrounding the home of a boy who has a rare allergy. Campagna continua: sabato spiraglio per annunci elettorali su entrambi i fronti politici. An Italian nurse was on Friday sentenced to life in prison for killing four patients, although police suspect she could have been responsible for as many as 10 deaths. Cristiano Ronaldo is “1,000 per cent” certain to remain at Juventus, he said after the northern Italian giants clinched a record-extending eighth straight Italian Serie A title on Saturday with a 2-1 win over Fiorentina. History & Traditions / From Barabbas to Veronica: Who was there as Jesus made his way to Calvary? One of the most important celebrations of Lent is the Stations of the Cross, which aims to commemorate the final part of Jesus’ journey on Earth. Salini Impregilo will build the biggest hydroelectric power station in Australia, after winning a contract valued at AU$5.1 billion (€3.228 billion) for the civil works and electromechanical component of the Snowy 2.0 project. Max Biaggi’s new Moto3 team Max Racing celebrated their first win at the Grand Prix of Americas in Austin, which ran from April 12 to 14.